Players who made the news after winning millions playing roulette, how they did it, and how you can do it. This article explains simple truth so you know how to win at roulette, whether it be online or at real casinos. Very rarely is related advice provided by people with real experience. I’ve been playing roulette for over 15 years, and managing professional teams for over 5 years. Here I explain the truth about beating roulette so you can decide whether or not it’s for you. Really the life of a professional player is not for everyone. In fact most people don’t have the right mindset. Can You Really Win at Roulette, or Are You Wasting Time? The short answer is yes you can win, but you can’t beat all types of roulette and in all casinos. But before I continue, I’ll explain what should be obvious to anyone. The Internet is full of self-professed experts who think they know about everything, including winning at roulette. You can find such people on forums, websites like Yahoo answers or just random comment threads. Next to none of these people have any experience with legitimate methods that beat roulette, so it should be no surprise they aren’t going to know what they’re talking about. They get their “expert knowledge” from other “experts” who similarly have no real experience, other than reading what some other “expert” said. You get the picture. It’s the same case with virtually any topic on the Internet; a bunch of people who really know nothing. Who Can Reliably Answer The Question: Can Roulette Be Beaten? When I say “beaten”, I mean real winnings over extended periods of time. I don’t mean lucky wins or short-term play. Probably the most obvious people to ask about winning roulette would be casino staff. After all, they spend a lot of time around roulette wheels. However, their job is not to study the wheel and ways to beat it. When it comes to someone like a dealer, they’ll mostly just spin the wheel. If you have your own wheel at home, the chances are you’ll have spun the wheel more times than a typical dealer. Having experience with a wheel certainly helps to understand the physics involved, but it is more keen observation that can uncover clues relating to the predictability of spins. I’ll explain more about this later. Dealers: Most dealers believe roulette can be beaten, but only under strict and rare conditions. For example, they may consider “wheel bias”. This is essentially when there is a physical defect of the wheel that makes certain numbers win more than others. Sometimes, dealers have heard of other methods like electronic devices (roulette computers), but they only have a very vague understanding of the conditions under which such technology is effective. Sometimes a casino consultant has been hired by their casino, and provided a training course to help them spot professional roulette players. But rather than it be a proper course, it is more of a crash course explaining the very basics. 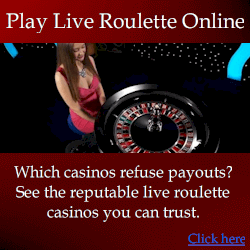 Overall, most dealers only have a very vague understanding of legitimate methods to beat roulette. Generally they know it’s possible, but don’t expect they’ll ever encounter a professional player. What they usually see is a constant stream of losing players at their table. Pit bosses: these are the serious-looking people that usually oversee a group of 2-4 roulette wheels at a time. They do everything from handle any disputes, communicate with surveillance about whatever, and generally make sure all the dealers are doing their job and that everything runs smoothly. When it comes to understanding roulette prediction, they rarely have significantly better knowledge than the dealers. Again they know roulette can be beaten under the right circumstances, but they also know for every 1,000 players you see, you’d be lucky for even one of them to have a method that is a threat to the casino’s money. Casino owners: Many owners have very little knowledge about their own games. They tend to view the casino as a revenue source and investment at a very different level. After all, it’s not their job to be on the gaming floor – their job is more confined to a board room. But for smaller casinos where the boss takes a more “hands-on” approach, the owner again has not much more knowledge than a common dealer. More importantly, they will at least be aware of the risk of professional players. They call them “advantage players”. They know they exist. They know very well even individual professional players have taken casinos for many millions. But their perspective is at a much higher level, and professional players are seen more as an accepted hazard, not without measures to deal with them. Kind of like an annoying bee that can do harm, but aren’t difficult to squish once you know about them. It’s also much like a retail store that may make $1M in sales each year, but $10,000 is lost each year due to theft. In other words, the retail store knows it’s almost impossible to stop 100% of theft. Technically they could stop 100%, but it would mean taking measures that would make honest customers feel uncomfortable, and this alone may lose more revenue than they save. So all the retail store can do is follow the best procedures to limit the losses from thieves. This is how a casino boss often view “advantage players”. Joseph Jagger: You may have heard the song “The Man Who Broke the Bank at Monte Carlo”. This was the first record of anyone exploiting roulette wheel bias. In today’s money, he earned millions. The casino staff couldn’t figure out how he was winning. Eventually, they changed the wheels (or rather a part of the wheel relating to the defect) and he didn’t notice. This inevitably changed the patterns he was following, and he lost much of his winnings. He still walked away with a fortune. Laszlo Kovacs: This happened a few years ago in Star City casino in Australia. He used an electronic device (roulette computer) to calculate the speed of the wheel and ball and predict where the ball is most likely to land. He won about $200,000 before the casino staff noticed he was winning a little too often. But according to casino staff, what initially gave him away was the tapping of his foot, not his winnings. He was tapping his foot because a hidden button in his shoe was pressed when the ball and green zero completed revolutions (to measure speeds). Laszlo was charged with casino cheating under Australian law, but was deported without being convicted, and was allowed to keep his winnings. There have actually been many other cases in the news. And certainly far more cases do not make the headlines. To summarize, basically there is enough evidence to support that even the casinos know roulette can be beaten. But mostly the casino staff don’t understand it. However, they do they “need” to understand it – they only need to monitor for consistently winning players, then take whatever action is appropriate to stop casino losses. It’s important to note that with all the known methods that have worked and even made headlines, the physics of the roulette wheel was involved. As far as I’m aware, there has never been a case where a player has won millions over sustained and long-term periods of play without using physics. Certainly players have won millions with sheer luck. But I’m referring to methods that have repeatable success. I’m not aware of any legitimately effective method that beats roulette, without all of the above factors. How Can You Win At Roulette Today? Roulette is not much different from how it was 6-8 years ago. But it’s quite different to how it was 50+ years ago. Naturally, as casinos learn about how roulette is beaten, they will do what is reasonable to limit losses from professional players. Again they presently can’t do this fully without losing revenue. For example, to prevent roulette computer users from measuring the ball speed and betting late, the dealer can call no more bets earlier. This will stop a roulette computer player from winning. But it will also stop the average losing player from placing late bets that lose. For every 1 roulette computer player, there may be 50,000 normal players. So it is not viable for casinos to fully forbid late bets. Detecting consistent winners, then applying countermeasures (like forbidding late bets) until the consistent winner either loses or leaves. Then the casino can resume normal procedures. Using roulette wheels and technology that makes roulette spins less predictable. There are far more undetected professional players than those who are detected. So for professional players, avoiding detection is mostly a matter of not being greedy and winning more modest amounts. 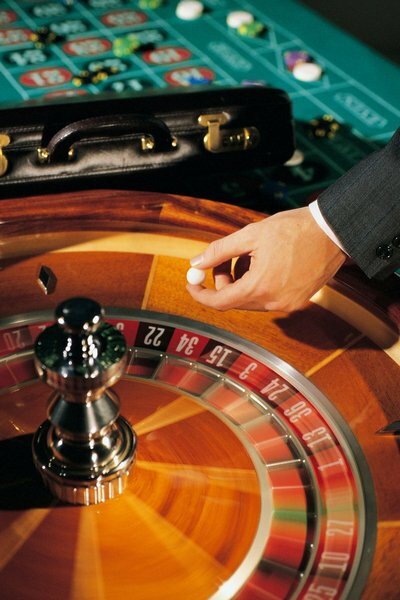 As for modern roulette wheel technology: there’s no doubt that wheels are getting harder to beat. But it is actually much harder to design a wheel with completely unpredictable spins than it is to develop a method which at least slightly increases the accuracy of the player’s winning number predictions. And to overcome the casino’s typical small edge of -2.7% is not at all difficult – it only requires the roulette player to only have slightly better than random accuracy when predicting the winning number. In suitable conditions, this is not at all difficult to achieve. This is the key to winning at roulette. If you do proper research, you’ll understand that it is not only possible to win at roulette, it is being done every day. But keep in mind for every consistent winner, there are likely tens of thousands of players who lose with a system that has no chance of winning in the long term. It makes sense that if you are trying to beat roulette, you should start with what has historically already shown to work. This doesn’t mean your current approach, whatever it may be, will not also be successful if developed further. Also keep in mind many people have even committed suicide because they couldn’t beat this game. But you can be sure such people were looking at the wrong approaches. Blindly trying to do the impossible will drive anyone insane. Trying to do the possible, with proper and logical approaches, makes more sense. If you spend years using the same approaches used by millions of players, you are going to lose. But if you don’t want to look at the physics of the roulette wheel, then at least try something that nobody has tried before. If you are not trying to be a pioneer and just want a roulette strategy that works, then the application of physics-based roulette systems (advantage play) may be what you’re looking for. But a word of warning: don’t expect to beat all wheels in all conditions. None of the methods that have worked previous or today have ever been effective on every wheel. In all known cases, the players had to search for suitable wheels and conditions. The prevalence of suitable wheels mostly depends on the method you use – you will find that specific approaches may work on perhaps only 5% of wheels. Whereas other approaches may be successful on far more wheels (30-50%). Other than using roulette computers, the overall best methods I have developed to beat roulette will beat approximately 35% of modern wheels in real casino conditions. But this doesn’t mean you will obliterate the casino with 35% of their wheels. It means of the 35% of wheels, you will overcome the normal edge against you which is -2.7%. In typical conditions, the edge you will achieve is between +5 to +15%. So on average, around a +10% edge. This may not seem like much, but consider a -2.7% edge is all a casino needs to often make hundreds of thousands from a single wheel in one night. An edge of over 50% is not uncommon with roulette computers. But despite their larger edge, professional players have serious disadvantages such as the casino being able to simply ban players for any reason. So you can’t just win millions overnight. Well you can, but expect to be noticed. If you have a more modest bankroll, you need to win much more discrete amounts. How much is ok to win? It depends on the table. But say if the minimum inside bet is just $5, then the most you should take from the table is $500 or so. Or if the minimum is $50, then generally winning $5,000 in one session is ok (provided you don’t repeat it too often and in the presence of the same casino staff). This is just a rough guide though, and there are many variables that determine what is “covert” to win. Winning and avoiding detection is one thing. But the biggest roadblock for professional players is time. More specifically, most people don’t have the will or patience to spend in casinos for many hours. It can quickly become very boring and tiring. The boredom can lead to costly mistakes. I once spoke to the director of one of the largest and best-known roulette wheel manufacturers. He and his colleague spoke candidly about the viability of beating their wheels. They stated something to the effect that “Yes we know wheels can be “clocked” (their word for ‘beaten”). We know all about it”. They spoke rather defensively as if I was attempting to somehow expose them. I was actually just looking to purchase a new roulette wheel, which they refused because they were aware of who I was, and my intentions to study it. On another occasion I spoke to their chief wheel designer, who is also well aware just about any wheel can be beaten in the right conditions. The manufacturer websites neglect to explain to their clients (casinos) how easily beaten many modern roulette wheels are, but the wheel manufacturers at least do have knowledge. Again although wheels are getting more difficult to beat, to create a wheel that produces truly random and unpredictable spins would be extremely difficult and costly, and perhaps not viable considering it is not difficult for casinos to identify a player who is consistently winning hundreds of thousands, which is what it would take to significantly impact the income of most casinos. How Much Time Do Professional Methods Take To Use? Roulette computers are by far the quickest, but you still may need to dedicate 4hrs or more just getting enough data for one wheel. Some players may consider this far too time consuming and absurd. A roulette computer user would consider the notion of 8 hours work from 9am-5pm for day after day for around $150/day, then paying 35% tax, to be closer to insanity. But excluding roulette computers, a good professional method to win roulette consistently (that can earn a living) may take around 20 hrs per week. This again may seem absurd to some people, but consider this is around half the time as a normal job, but it can pay much better if done right. If you are considering becoming a professional roulette player, understand that while it is not uncommon for players to win hundreds of thousands or even millions, this level of income (with modest bet size) requires time and dedication, just like any other job. But the average player doesn’t play full-time. The average player keeps their normal job, and plays roulette part-time or whenever the need arises for an income boost. In any event, if you expect to consistently win money from roulette, you will need to use an approach much more sophisticated than “doubling bets” after losses. If you don’t like the idea of using physics to win roulette, perhaps read http://www.roulettephysics.com/why-it-works/ which explains why most methods fail, and why physics may be the only approach that works. Whatever systems you are using, CONSIDER THE WORKING PRINCIPLE you are attempting to apply, and test it thoroughly. 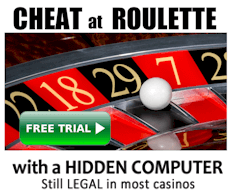 Want to know more about winning at roulette for FREE? Click here and enter your email address in the blue box. You will be subscribed to our free course to beat roulette. « Online Casino Bonus Comparisons – Should You Accept Bonuses?